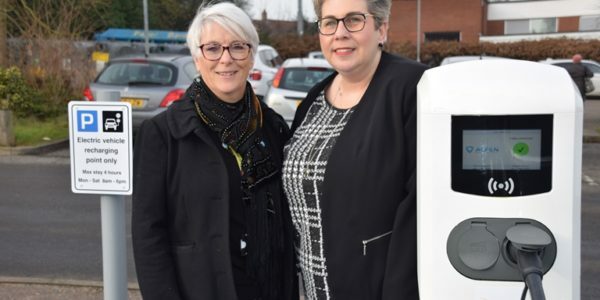 Norfolk-based roofing specialist RB Watts was so pleased with the first FUSO Canter it acquired less than six months ago, that it has already returned for a second. 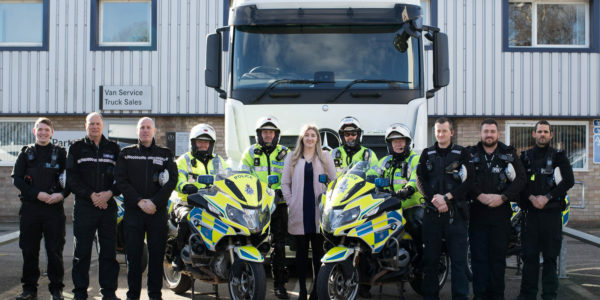 The popular Canter light truck range is sold and supported exclusively by Mercedes-Benz Dealers in the UK – like its predecessor, RB Watts’ new 3.5-tonner arrived via Orwell Truck & Van, which represents the three-pointed star in East Anglia. RB Watts operates from headquarters in the village of Longham, near Dereham. Its Canters are fitted with aluminium double dropside bodies by Commercial Bodies, of Norwich. Both are 3C13 variants, and powered by fuel-efficient 3.0-litre engines which generate 96 kW (130 hp). They differ in one key aspect, though. The first transmits its power to the rear wheels via a DUONIC dual-clutch automated transmission which, as well as an Eco Mode, features Park and Creep functions for easy low-speed manoeuvring. The latest, however, employs a standard five-speed manual gearbox. 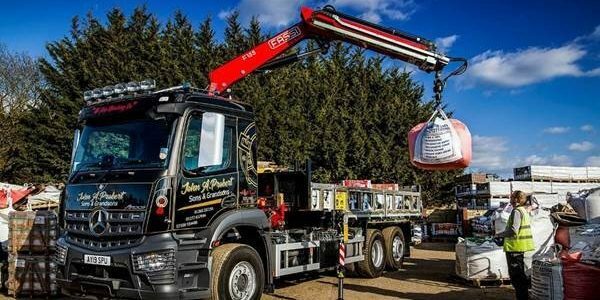 Mr Watts continued: “Our first Canter has performed very well, and the customer service we’ve received from Orwell Truck & Van has been exemplary, so we had no hesitation in returning for another. 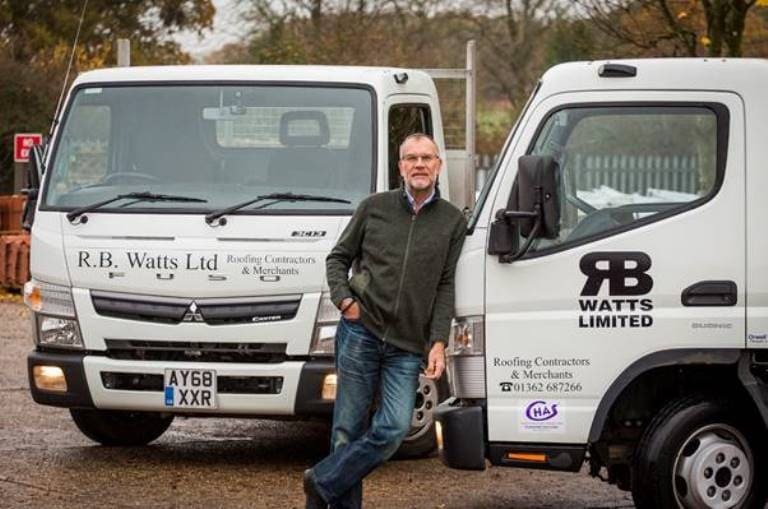 The two Canters are now working alongside RB Watts’ four other commercial vehicles, and supporting both sides of its business – as well as working as a roofing contractor on commercial and residential projects of all sizes, the company sells and delivers a wide range of new and reclaimed roofing materials to others in the trade. The Canter boasts a class-leading safety specification, which includes an engine brake, ABS anti-lock brakes with Electronic Brakeforce Distribution, the ESP anti-skid system and a RISE (Realised Impact Safety Evolution) safety cell. Like all FUSO Canters acquired from an official Mercedes-Benz Dealer, RB Watts’ new trucks are backed by three-year, unlimited mileage warranties, and came with reassuring, round-the-clock emergency roadside assistance cover. The FUSO Canter light truck range encompasses models with gross weights of up to 8.55 tonnes. Three versions of the 3.0-litre diesel engine are available, as is the diesel-electric Canter Eco Hybrid; the first fully-electric eCanters are also now in service with selected operators in London. Pictured – Chris Watts with his company’s two FUSO Canters. Photo Credit – Impact Communications.